Every technology passes several key stages in its development: invention, implementation, mass production, then it turns into an unnoticeable ordinary household object and finally it gives the way to a more practical technology. I can't say that the jet-printing technology is falling into decay right now but it has already reached its peak. Its further development got exhausted: various principles of jet-printing are thoroughly studied, the physical drop size limit is not critical anymore due to the high print quality; feeding mechanisms and the whole design are mastered and it makes no sense to keep on improving it especially because of wide popularity and low piece of most models. Except the PR attempts to add virtual lines per inch using tricky calculation ways, it's quite difficult to invent anything in the jet-printing sphere at this stage of development. One of the trends in this sphere is to add auxiliary features like card readers, wired and wireless interfaces, paper cutters, fax modems etc. 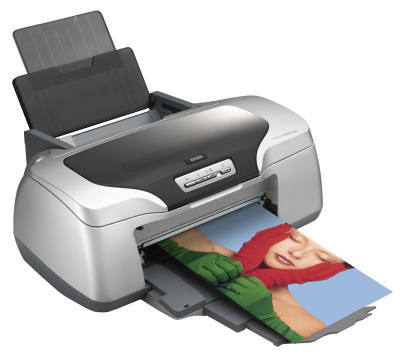 Photo printers become more and more automatic due to direct printing interfaces or built-in color LCD displays for selection and preparation of photos in PC-free printing. The other way of development is traditional: improvement of ink stability, designing of new media types, mostly for photo printing, driver updating. Unfortunately, when changing an ink chemical composition companies often change a cartridge design and offer it as a new revolutionary solution, but the real reason is to change the current printer line without any reasonable grounds. The manufacturers mostly get income from sales of supplies rather than printers. No wonder that they invent new ways to improve this kind of business, for example, using chips integrated into cartridges which make them disposable. Last year the European Union issued a new law concerning electronic waste, and in particular, it forbids using so called smart cartridges that prevent refilling. Now the manufacturers have to reconsider their printer design so that by 2006 they had no such chips. The jet-print development had marginal changes last year. 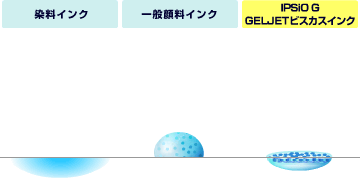 However, there was one interesting event: Ricoh which entered this market in autumn 2003 and which has being promoting its products on the speedy color corporate printing market offered the gel ink printing technology. The speedy color printing from Ricoh covers three new technologies, and the most important solution is gel-like pigment ink. The liquid high-viscosity reagent soaks into paper and turns into dry, steady water-resistant gel. Also, the company has developed a large-size ink cartridge and a fast paper feeder. 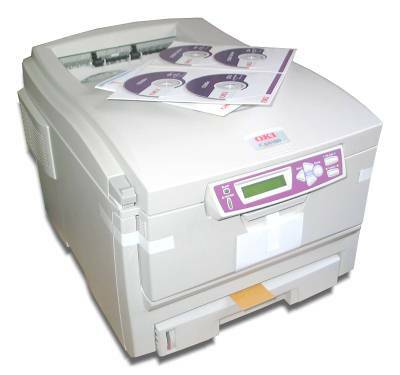 The top model IPSiO G707 ensures long-time color printing up to 20 pages per minute. The maximum print resolution of the IPSiO G707 is 3600 x 1200 dpi and it can use ordinary office-type, recycled, glossy, color photo paper up to A4. The cost price of one color print is $0.7 per A4 page, or $0.02 per monochrome A4. One of the companies debuted last year is Dell. 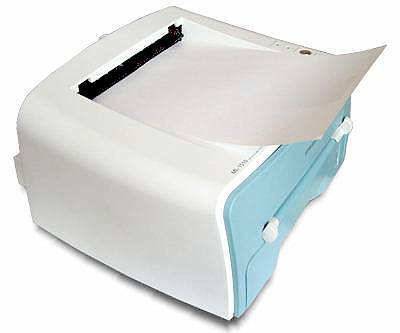 By the year-end the company had two generations of jet printers, and the last one was Dell Personal All-in-One Printer A960 with an integrated scanner, fax, memory, and auto feeder per 50 pages. One of the interesting jet solutions from Epson is a 6-color Stylus Photo R300 printer. Beside the excellent specs (5760 x 1440 dpi, color and b/w images up to 15 ppm), this model supports printing on CD/DVD and has a 2.5" color LCD (R300M) and a universal card reader for CompactFlash Type I and II, MultiMediaCard, IBM Microdrive, xD-Picture Card, Sony Memory Stick, Memory Stick PRO, Memory Stick Duo, MagicGate Memory Stick, SmartMedia and Secure Digital formats. The next model of such level from Epson is Stylus Photo R800 which is expected to come in January; this model has the minimal drop size which equals 1.5 picoliter. 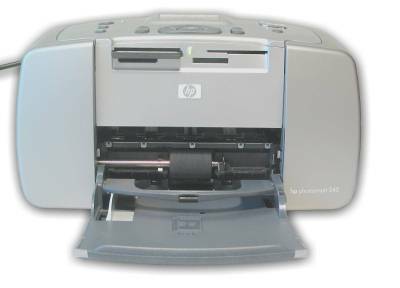 One of the new jet printers from Hewlett-Packard was a corporate model named HP Photosmart PSC 2550 which features the 10/100BASE-TX adapter and WLAN IEEE 802.11b support. 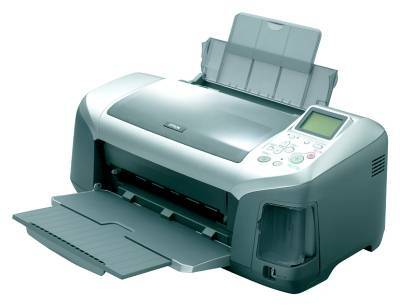 The printer is equipped with a scanner of 1200 x 2400 dpi, and an integrated duplex module, and provides printing up to 21 ppm in the monochrome mode and up to 15 ppm in color; the copy speed for color documents reaches 14 ppm. The printer also features a 2.5" color LCD and a card reader supporting CF Type I/II, SD/MMC, Smart Media, xD Picture card, Memory Stick (PRO). 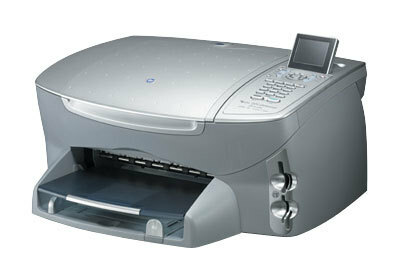 Hewlett-Packard brought one more model into the sector of corporate color printers - HP Photosmart 245. The printer has a small form-factor and weighs around 1 kg. It allows selecting photos with a 1.8" LCD and making prints up to 10 x 15 mm. The list of support flash cards includes the latest formats like Sony Memory Stick Pro/Duo and xD-Card. It may seem that home or small-office monochrome laser printers have reached its peak. What can they add to a compact inexpensive fast home printer which provides sufficient printing speed, quality and resolution? They can only increase the speed a little and change the design at the same or less money. Also, they can add various wired and wireless interfaces, duplex support and other useful and useless additional features. When releasing new models the companies do not make an accent on improved print quality. 600 dpi is sufficient for all office needs; besides, resolution grows only at the expense of a better fine-dyspersated toner which is not that cheap. In 2003 the new SOHO laser printers got no revolutionary changes. The companies just increased the processor clock allowing for a higher print speed (by the way, that was a reason for production of a new line). In other cases they changed printer designs, added USB 2.0 support or updated software. There were also totally new solutions, but their capabilities satisfy the standard SOHO printer set: 600 x 600/600 x 1200 dpi, GDI version and/or PCL6 emulation (and/or PostScript 3 emulation), USB and IEEE 1284-1994 interfaces (though the latter is getting less popular). Inexpensive models with a 10/100 Mbps LAN port or even Wi-Fi interface are getting more widely available. The number of models of monochrome laser printers is so great and the difference between them is so negligible that users don't spend much time on choosing it but buy a printer mostly from a company that they knows well. Like a TV set or a vacuum cleaner. More demanding users first look at ease of use, guarantee conditions, cartridge size and substitution support rather than printing speed and quality. Samsung entered this market only in 2002 and has already conquered customers' hearts. Its main advantages are low prices, high quality, a global technical support and a wide range of products offered. 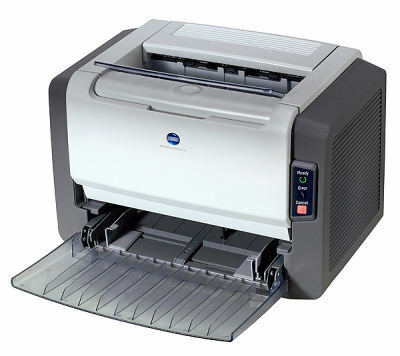 The most successful laser printers of the SOHO class are ML-1510, ML-1710 and ML-1750 which have a good price/quality ratio which goes with a compact size and stylish design. OKI returned to the office monochrome printing market with a new LED printer B4200L. Beside a high printing speed (16 ppm at least) the OKI B4200L is able to emulate a wide range of printer "dialects" - PCL6, PCL5e, Epson FX, IBM ProPrinter. Also, it's very easy to refill the cartridge by changing the container with toner. 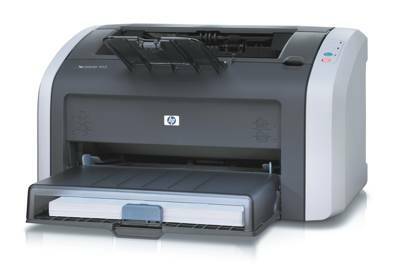 By the year-end Hewlett-Packard also updated its line of inexpensive laser printers. 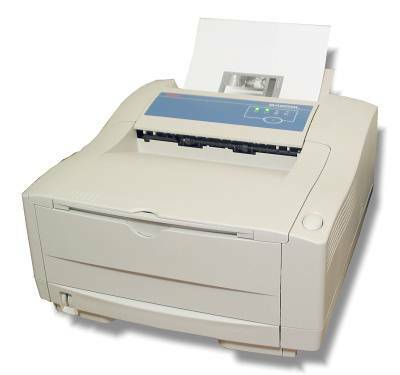 HP LaserJet 1000w and 1005w are now replaced with HP LaserJet 1010, with the printing speed up to 14 ppm; they are also much smaller than their predecessors. The HP LaserJet 1012 has a higher printing speed (14 ppm, HP LaserJet 1010 - 12 ppm), the HP LaserJet 1015 is equipped with a large-size memory module, extended connection means, supports network operation and a wider range of OSs. Minolta which has recently entered Konica Minolta holding announced a substitute for the 1250W by the year end; this is the monochrome PagePro 1300W GDI printer. At the specified resolution of 1200 x 1200 dpi and printing speed of 16 ppm the printer has a stylish design and an attractive price. Inexpensive laser printing: boom expected? The SOHO market of color laser printers (sub$1000) has already started forming. Moreover, soon it will start quickly developing, as soon as it passes the phycological thresholds ($1,000 for some, $600 for others). A couple of years ago only big companies or printing labs could afford laser printers. But supplies are getting cheaper, as well as the printers, and speed and quality are growing up. At the same time, such systems are getting simpler at servicing. Well, it's high time for firms which have a solid paper turnover to think about purchasing such equipment instead of placing orders with other companies. Last year the number of models tremendously increased. Besides, the typical price range for such products is falling down: a year ago it was $1000 - $1500, and now the price tags are often lower than $1,000. Price-cutting goes along with some technological tricks aimed at making the production cheaper. Some manufacturers save on interfaces, memory, functions or software, others develop cheaper designs. 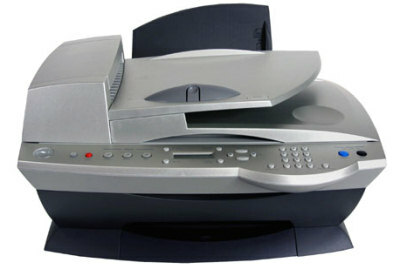 By the end of 2003 it was difficult to find a printer maker who wouldn't offer color laser printers cheaper than $1,000. The market hasn't formed completely yet and any company has a chance to get a solid share. No one doubts that this market is profitable: just look at the wide range of new models, sales at dumping prices and price-cutting for existing products. Yet in summer several companies announced sales of some of their models at $800, and by winter Konica Minolta Printing Solutions trimmed the price for Magicolor 2300W to $499 (in USA). The trend is evident: sooner or later similar models will come closer to this one. But I don't think that the companies risk their incomes. A company that delivers color laser printers even at its cost price will gain more profit later by selling cartridges, toners and other supplies. Toner, like ink for jet printers, does not get cheap that quickly. In closing I'd like to tell you a bit about some inexpensive color laser printers that formed the market last year and which were released on the verge of 2003/2004. One of the most intriguing new solutions appeared last year is the color office-type duplex laser printer CLP-500 from Samsung. It's equipped with a drum mechanism, supports resolution up to 1200 dpi at the printing speed up to 5 ppm (color) and 20 ppm (b/w). This model will be reviewed a bit later, but taking into account that it took little time for Samsung to get a good share on the monochrome laser printing market we do not doubt that the company will succeed in the color laser printing sector as well. 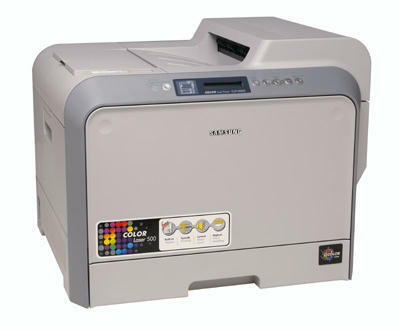 The color LED printer C5100n from OKI which started selling in spring last year was one of the first to offer inexpensive speedy color printing - up to 12 ppm due to the linear arrangement of cartridges. The model is of great interest as it supports printing on various media of different width and texture, allows adjusting colors in a wide range and printing on media up to 1200 mm long. 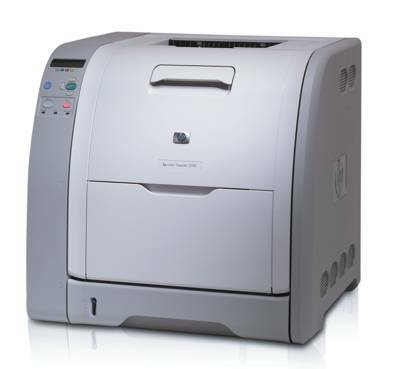 The HP Color LaserJet 3500 and HP Color LaserJet 3700 models were released by the end of 2003. The former works under Windows or Mac and supports host-printing, while the HP Color LaserJet 3700 supports PCL5C, PCL6, PostScript 3 for a wide range of operating systems. 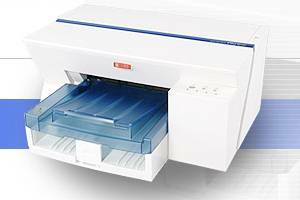 CLJ3500 supports serial color printing while the low-end CLJ2500 offers 4-pass printing. The new printers also allow choosing grey printing with black inks or four color ones, output PDF files without special software and ensure color blending and even edges by increasing the frequency of digital half-tones on edges.